With its cheering crowds, all kinds of participants and fancy dress fundraisers, the world-famous London Marathon is never short of exciting sights and sounds. 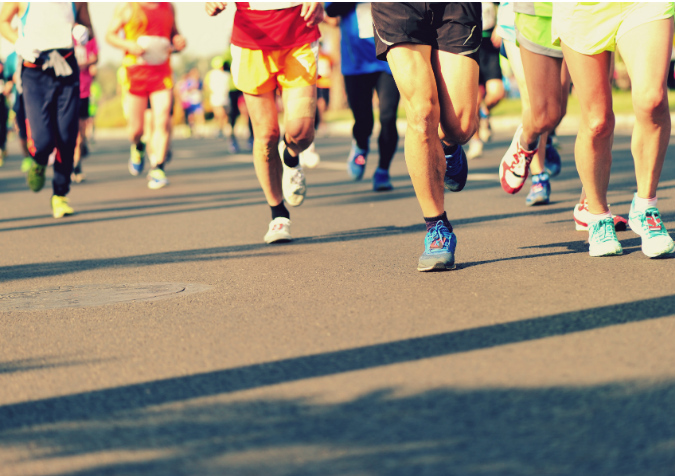 Each year over 50,000 runners participate in the biggest mass participation sporting event in the world. Stretching 26.2 miles and shutting down roads left, right and centre, the race literally takes over the streets of London for one weekend – this year on Sunday 23 April. But where’s the best place to soak up the atmosphere? If you’re heading to London to see the runners in action – perhaps even a friend or family member is taking on the challenge – you’ll want to stand where you can cheer them on, as well as join in with the fun of the celebrating crowds. The run starts in three different places: Greenwich Park, St. John’s Park and Shooter’s Hill Road, south of the Thames and passes through Greenwich before crossing the river over Tower Bridge. It then continues through central London and along The Mall to finish in full glory in front of Buckingham Palace. There are several different places to support the event from the side lines. Key landmarks like the Cutty Sark and Tower Bridge always attract the largest crowds, so you’ll need to get there early to ensure a good view, particularly at the start or finish lines. You might like to try and cheer on the runners at more than one location on the route. After all, you will want to get a glimpse of your loved ones more than once as they pass. Woolwich Arsenal – the three-mile point lies just after the point where runners converge from different starts to begin one of the marathon’s few downhill stretches. This is a fairly gritty, industrial part of London where the Thames is very much a working river. Runners will have just started the race and still be fresh, smiling and energetic – less likely later on. Surrey Quays/ Canada Water – just beyond the eight mile point. Canada Water is off the course but a short walk from the 11-mile marker. This stage is a little busier but still manageable and runners will still be reasonably fresh and relaxed. Westferry – a good choice because you can usually see runners twice on different parts of the course. The busier south side of the station is located at about the 14.5 mile-mark, while a short stroll north takes you to just over the 20 mile-mark. Enjoy a long view, particularly to the north where you’ll see the runners rounding a corner some distance away. Embankment – as runners near the end, you will notice greater congestion the nearer the finish line you get. Try walking down to Embankment from Blackfriars or Temple and finding a good viewing spot from there. With the main runners’ meeting point on Horseguards Parade, be ready for swarms of people, especially if you are coming from St James or Westminster tube stations. It might be quicker to go to Charing Cross station instead and walk through Admiralty Arch to Horse Guards Parade.